An interesting perspective on and reasons why public speaking is good for introverts from subject matter expert, Emma Taggart, the Leadership Coach for Introverts. Public speaking – It’s something other people, and we ourselves, often assume introverts can’t do. Introverts prefer to express themselves in writing and don’t feel any great need to be the focus of attention, so public speaking can make them feel very uncomfortable. Emma’s goal for the autumn is to master public speaking. She recently gave the first of what she hopes will be many talks about why introverts’ strengths make them well-placed to lead now. So, why is she bothering to stretch her comfort zone by learning how to be a better speaker? And why should you? First, because Emma – and you – have rich thoughts and ideas to share. You can do that in writing but if that’s all you do then people who prefer to listen rather than read are not going to hear. Second, because leaders need to be able to communicate and it’s not always possible to do that effectively in writing. Third, because it’s good to learn new skills and expand your view of what’s possible. 1. Effective public speaking requires loads of preparation. Introverts love to be prepared! They can write down exactly what they want to say and practise until they are word perfect (but please don’t read from a script unless you want to sound like a robot). 2. We are the ones doing the talking. For once, there is no need to fight for air time or try to get a word in edgeways in a room full of talkative people (yes extroverts, Emma is looking at you). 3. We don’t have to do the dreaded small talk. Introverts can talk about a subject that they know about and that interests them (and hopefully interests the audience too!). People will ask questions about what is said – no need to talk about what we did on holiday! Emma’s mentor calls public speaking “hiding at the front of the room”, which is a brilliant description. Try re-framing nerves as excitement. It really works! Use a preference for preparation to anticipate questions and craft answers. If your mind goes blank when put on the spot, it’s fine to promise to get back to people with an answer (but make sure you it within a reasonable time frame). Say ‘yes’ when someone invites you to speak, even if you’re terrified – trust that thorough preparation will make it a success. Consider public speaking an opportunity to indulge your love of thinking and writing – reflect on ideas and scribble them down before translating them into the spoken word. Get some help – read a book, watch TEDTalks for inspiration and find an experienced speaker to support you – indeed IMPACTUS Support offers Speaker & Presentation Skills Training & Coaching, so why not ask here? There’s absolutely no reason why introverts can’t be great public speakers. Don’t do yourself a disservice by buying into the idea that there are some things we just can’t do. To borrow a well-worn slogan from Emma’s favourite introverted leader, President Obama, ”Yes we can!”. Does Military Leadership Work Outside of the Military? An interesting perspective from Ben Williams CMI ILM, Co-Founder at Vanguard Global Solutions – How organisations could learn a thing or two from our battle hardened leaders. It was hot, sticky and extremely frightening. My first introduction to the Taliban quickly turned me into the commando I had trained tirelessly to become. They say you haven’t become a true soldier until you are engaged by your countries enemy. However, our battle-hardened troop would never have become such an outfit without the leaders within who relentlessly guided us through thick and thin, and often acted way above their pay-grade. As the bullets snapped branches off trees, peppered the walls and kicked dust off the track, I threw all my training and skills out of the window and jumped head first into a deep stream to avoid the impending danger. My body had subconsciously entered ‘flight’ mode instead of ‘fight’, and I was going against everything I had been trained to do. Had it not been for my leader there and then, I may have stayed in the stream unaware as to what to do next, engulfed in a situation I’d never experienced before. Peering out of the water I was relieved to see I wasn’t the only one who had jumped in the stream away from the Taliban, unsure of what to do in the life-threatening situation. The Taliban were close, maybe one-hundred and fifty meters away pinning us down with their accurate AK-47’s and PKM weapons. As well as the suppressing enemy fire targeting our location, a Taliban sniper was also taking pot shots at the tree line and ditch we all hid within, desperately trying to make our lives harder. ‘Welcome to Afghanistan’. Stood on the track unmoved by the danger was our commander firing back at the enemy, completely in the open protecting the men he led who were completely new to such a situation. He was extremely experienced and had spent his entire career on operations throughout war-zones around the world. It took one look from him and minimal encouragement for us to feel inspired and suddenly courageous enough to join him where he stood and enter the fight. It felt natural and our training immediately kicked in. We didn’t want to leave him there, nor had we trained so long and hard to hide. We were commandos, and this is what commandos do; something our commander reminded us of. This is a leader in the rawest form, they inspire others to follow. On that day we were not poorly trained marines who had bottled at the wrong moment. Far from. We were young Royal Marines who had never experienced such high pressure and violence launched on us in such a way; many miles from our wet and windy training on Dartmoor. We were all highly skilled, highly trained and more determined to take the fight to the Taliban; we just needed a little guidance and encouragement which our leader was there to provide. Our commander inspired, guided, and led us through an extreme and dangerous situation knowing for well the feelings and emotions we were experiencing. He knew the dangers we faced, but a mission needed completing and he needed us for that mission. From that day we had changed. Our first firefight, and our commander’s leadership had inspired us into a different way of thinking, and within a heartbeat none of us turned our back on the enemy again. We had become a unified team of commandos born from high pressure and shared hardship. Yet always there is the overhanging question asked, ‘does military leadership fit into, and is it accepted in business, sport and other organisations’. Of course it does, and why not? Bullets, enemies, warzones, searing heat and streams aren’t necessarily required to become a good leader or create cohesive and high-performance teams. The misconception is military leaders own huge moustaches, scream at you in well pressed tunics and own an aggressive approach to discipline. This is far from the truth, with such days almost completely gone. The military leaders of today have moved with the times just as quickly as the newest iPhone updates are released. With their leadership becoming increasingly more effective with every day. Empathy, empowerment, understanding of our cultures and people, and great belief in our values has created a new era of leaders; ‘millennial military leaders’. Leadership isn’t just about command and authority. Leadership is about being emotionally in tune with those you lead, understanding everything they are going through, listening to opinions and ideas, yet upholding the capability to switch to authoritative leadership to make snap decisions when required; just like our commander on the track. For the civilian world, huge lessons can be learnt and used by our experienced, professional and inspiring leaders. Exceptional judgement, willpower, integrity and courage are the four words necessary to describe good leadership. Every other word or attribute associated with leadership leads right back to these four, and it is these four words that exceptional leaders must draw from. Leaders in the military are no different to those within any organisation. We are all human beings leading other human beings within our chosen tribes. Whatever your industry, every organisation is in some form of survival; it is literally that primitive. Survival changes us from someone in a position of command and management, to that of a person who is accountable for their subordinates, and also in turn depend on their own people for their survival; this is leadership, creating a vision and a path whilst in turn creating followers for that vision. The military regularly works in survival situations which is why our leaders are so effective and own great skill in leadership under such high intensity and pressure. Don’t fall foul to the misconception that military leadership should stay in the military. Embrace it, learn from it and review the way leadership is thought of in our modern world. Remove the camouflage clothing and replace it with a suit means only the apparel has changed. The professional, disciplined and highly experienced leader is still underneath waiting to unleash. The following represent top tips for meeting success. 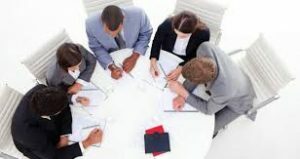 They are tried, tested and proven to deliver significant results and confidence improvement at all levels and in all sorts of business environments…..
Before attending any meeting, make sure you are prepared…..
Have you gone through a checklist of everything you will need in the meeting and done some research on the people and the business you are meeting with? It is always difficult to rescue a meeting if your lack of preparation is evident. Winging it only works occasionally and should not become the standard for meeting preparation. If travelling to the meeting, have on some rousing music to increase your enthusiasm and alertness…..
Whatever your musical tastes, loud and rousing is better than mellow ballads…… If meeting at your office, put on some music as you prepare…. Don’t provide the other participants with any initial negative impressions…. Make sure you arrive on time (preferably a little early) and don’t come armed with a lot of clutter – the key is to look as if you are there for a functional purpose, not as if you are set to stay all day. If you are going to use a laptop, have it powered and ready in “hibernate” or “standby” mode….. Watching a laptop warm up can be excruciatingly slow and many people focus on this, rather than on their hosts or guests, to the detriment of initial relationship building. Have an idea of what a successful outcome would be from your meeting? It may be obtaining a purchase order, but it may equally be getting to the next stage in the process, a request for a proposal, being added to a preferred supplier list or just not being shown the door. This is your target, and without one, you have little to gauge success (or failure) against. However long or short the meeting, you must take initial control…. You should “signpost” what you expect from the meeting such as its structure, anticipated timings, what outcomes you are seeking and then, most importantly, consult with the other participants to check they agree with the proposed format. By “signposting” you will not have people unsure of what happens next, where they are in the meeting structure, or looking at their watches instead of listening and participating actively. Never assume that your agenda or even the reason for the meeting is the same for both parties….. Ask open questions after setting the format as they help clarify the position as all participants see it. Be prepared to change your initial plan to react to anything that the other party or parties contribute. Despite some pre-research and possible call notes to accompany the appointment, when face to face, the agenda may well differ from expectations so a flexible approach needs to be adopted. The format of the meeting should ALWAYS be….. If there are any objections to your proposals or presentation, acknowledge them, but agree to handle them all in a block at the end of your presentation…..
Then think about incorporating some content into your presentation that covers the objections and removes the sting from them. Objections are to be welcomed, but should not be handled like a tennis match. Never offer a proposal or a report as a standard follow up….. This will always receive a positive response but will create extra work in cases where there is no need or intent on the other side of the table. Always ask ‘What happens next’? If the other participants need or want a proposal or report, that is very different from you simply offering one. Always agree a realistic timescale for the provision of such reports. 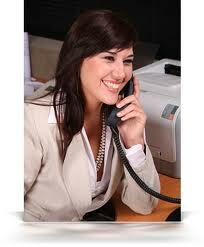 The following represent top tips for telephone success. 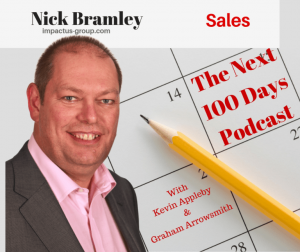 They are tried, tested and proven to deliver significant results and confidence improvement at all levels and in all sorts of business environments….. Prepared and have no momentum. 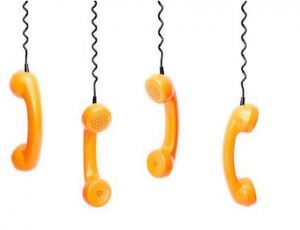 Even confident and experienced callers start slowly, so if you only ever conduct a few calls at a time, you will never make any calls when in top form…..
Planning activity also means it will happen! Create a “do not disturb” mentality…..
Get your colleagues to take inbound calls, ignore the emails and switch off your mobile. 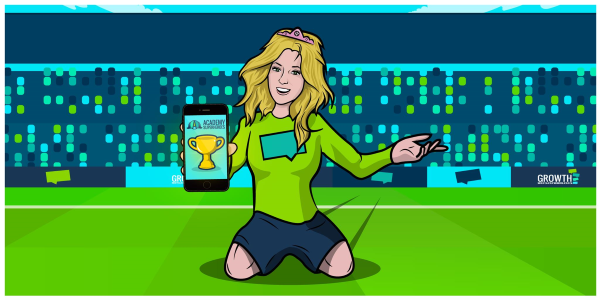 2 hours is all you need to generate 25 – 30 outbound calls and a number of real opportunities. Letting your colleagues know not to disturb will really help to generate results! Remove the temptation to stop…..
Have your drink to hand, have your snack ready, be prepared with pen, notepaper, data, PC etc and go to the loo….. If you have a bad start to your session, it is easy to look for reasons to leave the desk and the session is effectively over. Don’t leave the desk on a low! Success comes from momentum and confidence. Splitting your call types into first calls, follow up calls, existing customer calls, new research calls, etc and doing them in blocks get you in the right “zone” for each call type and generates better results. 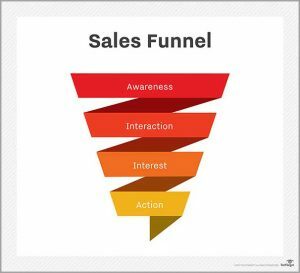 If ringing for research (finding a name, checking an email etc), never engage the prospect in a sales conversation at this time even if put directly through. You are ill-prepared with your key messages, mentally not ready, likely to mumble and bumble and you will not be as successful as in a first call session. You will also burn the data for future use. If you have sent a pre-approach, never mention it! In the game that is telemarketing, they can easily get you off the phone with the response “I did not receive it – can you please send it again”? This creates work for you, delays the conversation and gives them the upper hand. If they mention the pre-approach, okay, but you should never do so first….. If you know how many calls you need to make to get a result (appointment, sale, piece of information etc), you can work on improving all the time, but also not panic if the session is not going your way. Confidence comes from how good you know you are or can be and accepting the fact that sometimes a session is just not going well, but that it is not down to your lack of skill! Lead with a short list of hooks and benefits…. You have 15 seconds or less to grab the attention. It is what you can do for them, not what you actually do that is important. Name dropping of like minded customers or references to cost saving, making a job easier, performance improvement etc always work well. Listen and “drive” the conversation…..
Two ears, one mouth – that is the right proportion. When needing to drive a conversation, use plenty of open questions and simply listen. People talk more if you let them…. Welcome objections but cluster them…. It is not a game of tennis. Ask “what are the reasons why we may not be doing business or having that appointment” and once you have checked that you have them all, agree to tackle them all together and knock them over as a group. Much more powerful and successful and they cannot come back with any further ones if you have already asked for them all and handled them…..
Leaving a message expecting a return call is naïve…. 98% of voicemail messages are of no use to you but you must listen all the way through just in case. Never leave a message (they will not ring you back and they have the upper hand). Ring back and ask a colleague to confirm the whereabouts of the prospect or that they are the one you need. Never leave a message with the colleague either…..
Never write “not in” if you know why. Never write “asked me to call back in January” without a reason why today was no good. A strong call note today proves in January that you had the earlier call and you can always exaggerate when they realise this with “you promised me an appointment if I rang back in January”. You cannot do this if they don’t believe you called initially….. There are only 4 reasons for the call……. To find out where that target is (on holiday, in a meeting, away from desk etc). To establish a time when the target will be available if they are not? To re-confirm that the target is the one responsible for decisions on your area of interest (even if a research call confirmed this earlier in the process). 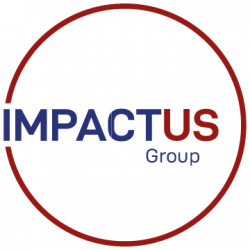 You only need to re-confirm once…..
Nick Bramley, now Director of Impact (CEO) at IMPACTUS Group recently worked one-to-one with Stuart and the story below is an inspiration to us all…..
Stuart Parr has had an adult life blighted by drug addiction from the age of 17. He is now 47. He has had numerous relationships break ups, been on the run from the law, had a spell in prison, been involved in petty theft to fund his habits and on more than one occasion, spiralled from heavy drug user to drug dealer. His adult life has been a dangerous cocktail of dark places, liaisons with criminals, drug highs and incredible life lows. He has had and lost many jobs, crashed a lot of cars, been threatened by drug gangs in various cities and on three occasions, girlfriends have tragically lost babies through miscarriage, all connected in some way to Stuart’s drug filled lifestyle. His rollercoaster of a story makes for salutary reading and would make a great script for a powerful film or documentary. And yet, he is still here! Moreover, he has now been clean for 12 months and is in the middle of creating a vehicle for sharing his story to hopefully benefit others. 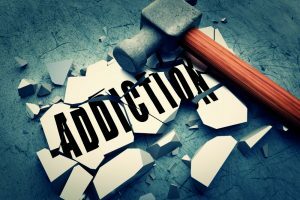 Stuart will readily admit to having had a number of sober and clean periods in his adult life, but each one was punctuated by some kind of environmental, relationship or circumstantial situation that meant his sobriety did not last – this time it’s different. Stuart has written a “script” of his life story, warts and all, not seeking pity or forgiveness and not full of self-pity either. It is frank, honest and powerful. Nick Bramley, then Head of Business Development at World Wide Pictures and World Wide Training worked with Stuart to help shape his raw story line into a structured, inspiring presentation format that can be delivered to a variety of audiences, each with a different expectation and perspective, but each likely to be hooked. We have also worked with Stuart on managing a series of Q&A sessions which inevitably follow his presentations. Stuart is already working as a Volunteer at Foundation in Wakefield, West Yorkshire – responsible for re-housing and supporting homeless people and Leeds University Drug & Alcohol Department, sharing his story with social worker students and the wider student body. He has also worked with Stephen Eacups at W.R.D.S. Stephen really inspired Stuart to turn his life around. His ambition is to now work with young people through schools, colleges and youth groups, more Universities to widen the net of education and of course, pre-graduate social work students to help them to understand some of the environments which they will encounter post-graduation. With Nick’s help, his presentations will inspire, engage and educate across the audience mix and Stuart will achieve one of his ambitions – to give something back to his community. He would also like to help people to understand some of the real dangers of a life on and around drugs and to hopefully help them to make some good choices, but he will not preach! His story is both moving and inspiring and he will be a great success as a speaker. Nick is delighted to have worked with Stuart and wishes him the very best for a very successful and clean future. Stuart is available for presentations if you have a group that would benefit from hearing his story. You will not be disappointed.